If you are interested in purchasing a luxury house for sale in Calgary, you will find plenty of affluent communities to select from. With all of the options available in Calgary, there is certain to be a luxury Calgary community available to suit virtually every need. Here is a look at some of Calgary's most affluent neighborhoods. Altadore is situated less than 10 minutes from downtown Calgarry. Altadore is an inner-city community known for its access to main city routes. Loaded with modern luxury houses for sale, it is one of the top communities to live in Calgary. It's not hard to see why as the community is located next to Calgary's famous pathway system and river parks. Those parks are the beautiful and highly rated River Park which is nearby the amazing Elbow River. 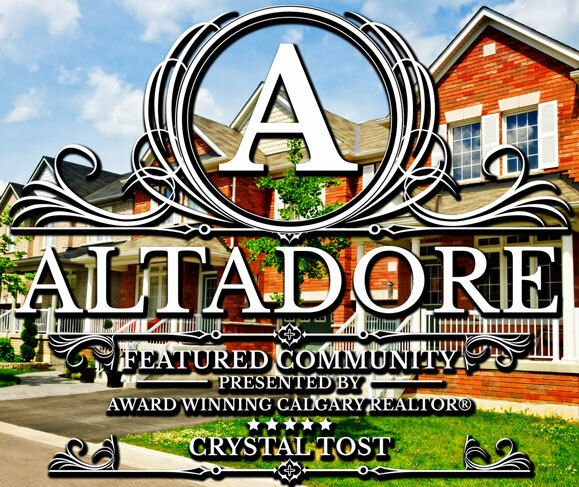 Altadore is also close to the highly popular and vibrant Marda Loop which is chock full of restaurants, food, shopping and events. Be sure to view all the available Altadore Homes For Sale. Boasting some of the best new luxury houses for sale in the city, Aspen Woods is located at the edge of the southwest quadrant. The community's houses are constructed by the best luxury builders in the area. Featuring luxury houses starting at around $800,000, the Aspen Summit community was built in three phases. These include Aspen Summit View, Aspen Summit Park and Aspen Summit Heath. Consisting of estate-style houses, the Bayview community provides residents with access to a wide variety of outdoor recreational opportunities. Many of the community's houses for sale are located along the Glenmore Reservoir. Situated along the embankment of the Elbow River and Glenmore Reservoir, the Bel-Aire community is found in the southwest quadrant. The exclusive neighborhood, which provides easy access to the downtown area, is Calgary's most expensive community. Backing out onto natural river and park areas, Brittania provides residents with immediate access to a number of interconnecting pathways and parks. The median assessed price of houses for sale in the area is $1.36 million. One of the newest communities in Calgary, the upscale community of Castle Keep features a medieval theme and houses for sale built by local luxury house builders. Located in the inner city region, the Currie Barracks community is the last and final phase of the Canadian Forces Base redevelopment. As Calgary's second most expensive community, houses for sale in Eagle ridge boast a median assessed price of $1.53 million. Located just 3 kms away from Calgary's downtown core, the premier community of Elbow Park is one of the most popular choices among the city's affluent residents. The family-oriented community provides easy access to the city as well as the Elbow River parkways. The median assessed price of houses for sale in the Elbow Park community is $1.26 million. The inner-city community of Elboya offers panoramic views and a variety of luxury houses for sale within close proximity to the downtown core. Featuring abundant green spaces and parks, Garrison Green is one part of the three-phased CFB redevelopment project. Located near to Crowchild Trail and Mount Royal University, the community provides an excellent option for those who are interested in living in the inner city. Located in the inner city just 10 minutes from the downtown area, Garrison Woods is part of the CFB redevelopment. Offering access to Glenmore Trail and Crowchild, the community offers a peaceful atmosphere and luxury houses for sale. One of Calgary's most exclusive communities, Mount Royal is located just 5 minutes from the downtown core. 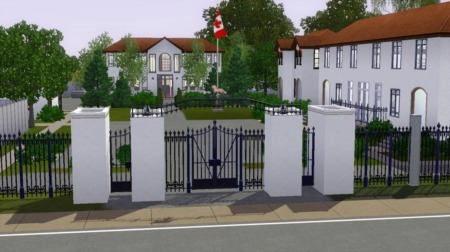 Offering some of the best luxury estate-style houses for sale in the city, Pump Hill is characterized by its customized houses and large lots. Featuring some of the city's best riverfront properties, Rideau Park is an exclusive inner city community located near to the downtown core. The median assessed price of houses for sale in Rideau Park is $1.495 million. Located just minutes from downtown, Roxboro is an affluent riverfront community providing easy access to Elbow River and its numerous parks and pathways. The median assessed price of houses for sale in Roxboro is $1.295 million. Boasting amazing views of northern Calgary and the downtown area, the inner city community of Scarboro is located just a few minutes west from downtown. Situated just 3 kms outside of Calgary's city limits, the Stonepine community overlooks the Glencoe Golf Course and the Bow Valley Ravine. The all-inclusive community offers a variety of amenities and easy access to a number of outdoor recreation opportunities. Located in the area that was once the East Springbank Hill, Timberline Estates is one of the city's newest developments. In addition to boasting luxury houses for sale, the community provides residents with breathtaking panoramic views. One of the most affluent communities in all of Calgary, Upper Mount Royal features houses for sale with a median assessed value of $1.51 million. Located within West Spring in the southwest quadrant, the Wentworth community can be found on the edge of the city. The community is divided into three distinct areas: Wentworth Estates, The Willows of Wentworth and Wexford Estates. Clear and concise list of all the luxury neighborhoods in Calgary! You are the go-to Realtor for expert care in your area. We have some lovely communities in Charlotte as well. All the best to you. Thanks Julie- I hope you also have a great 2013! West Hillhurst is nicknamed Kensington. Nice layout for luxury communities in your area. I didn't realize there were so many! Whether you want a view or an acre or two, it looks like you know your area. Nice post this will surely help fellow buyers who are seeking a new house in Calgary and surrounding areas..